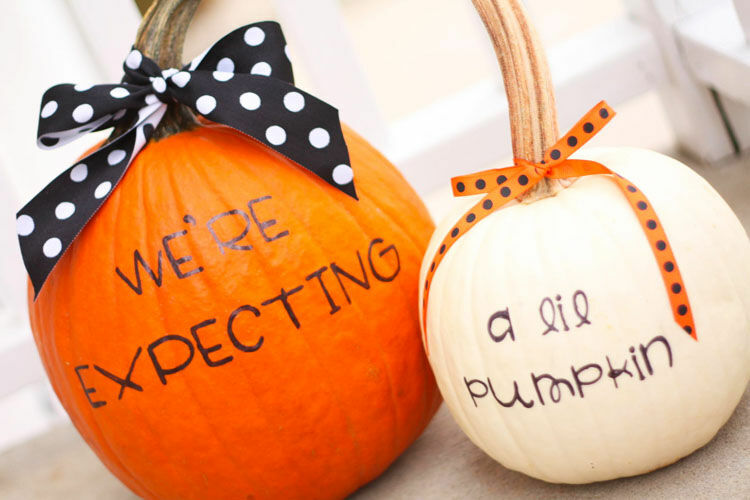 Got a little pumpkin baking away and ready to tell the world? 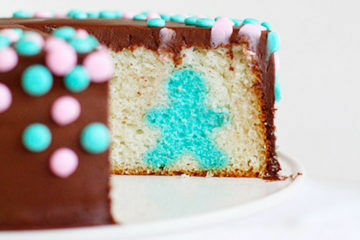 With Halloween just around the corner, it’s the perfect excuse to add a little sweet fun into your pregnancy reveal. 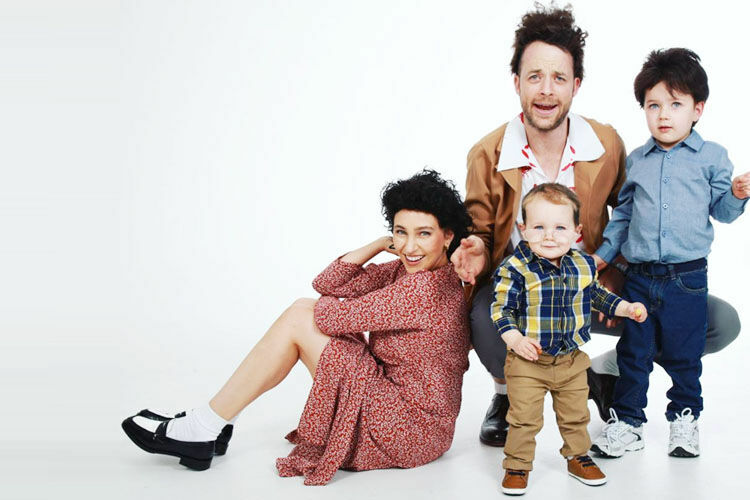 Whether it be something mischevious or a costume with a cheeky twist, just a little effort goes a long way in pulling together a hilarious Halloween reveal. We’re talking invoking some Hocus Pocus movie magic and playing on every pumpkin pun ever created. 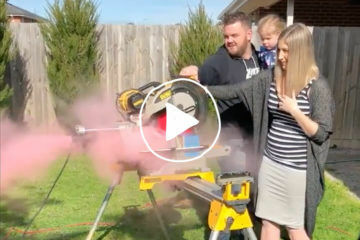 Here are 7 Halloween pregnancy announcements. 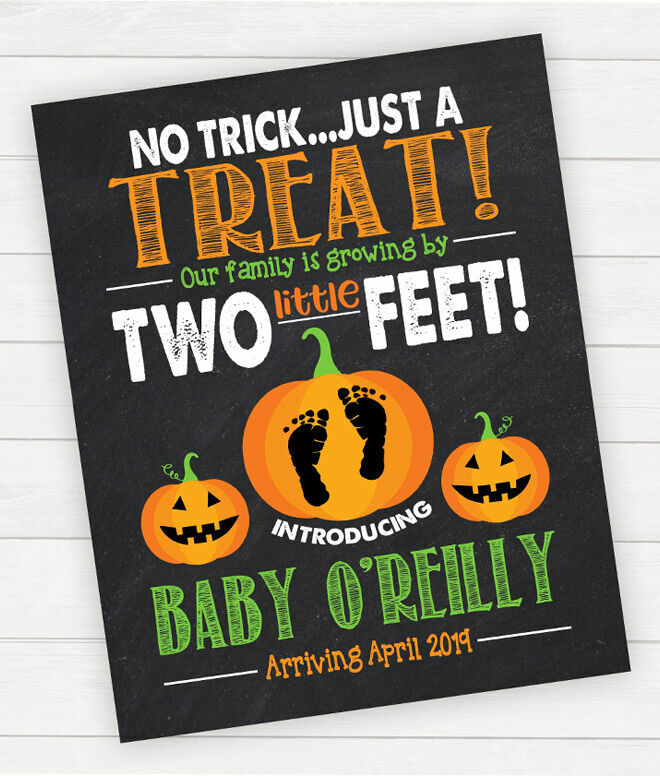 It’s two little feet ($14.30): An instant downloadable to use for a Halloween Facebook announcement or get it made into a poster to decorate the house. 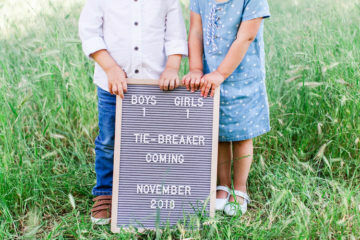 Get the kids involved for a pumpkin-themed photo reveal. You were warned ($36.60): Two birds – one stone. 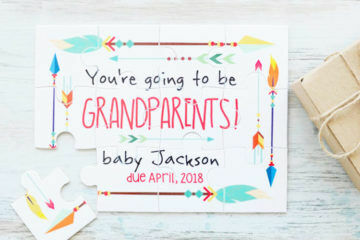 Pregnancy announcement and Halloween costume sorted! 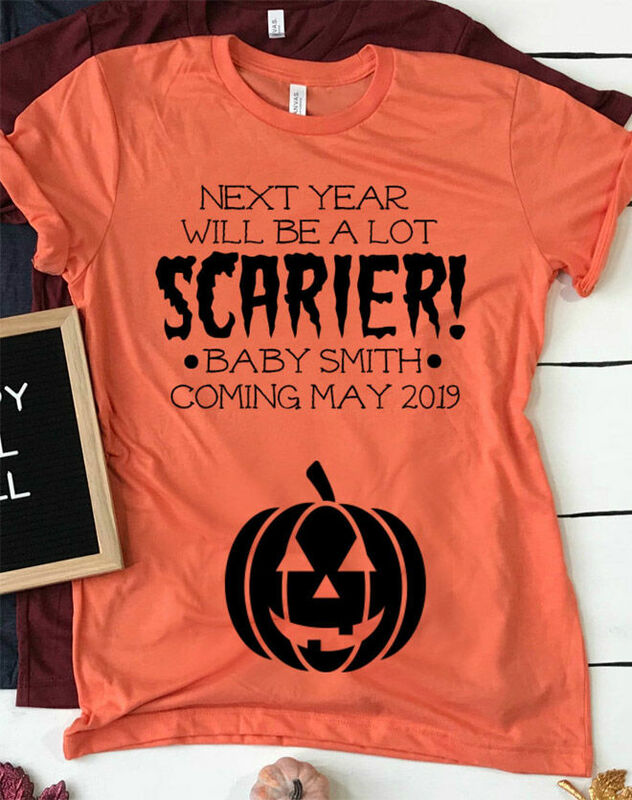 Adding another little pumpkin to the patch has never looked so cute (via Happenings of our Home). Tell it on a tee ($46): Because let’s face it, those first six weeks are a killer! 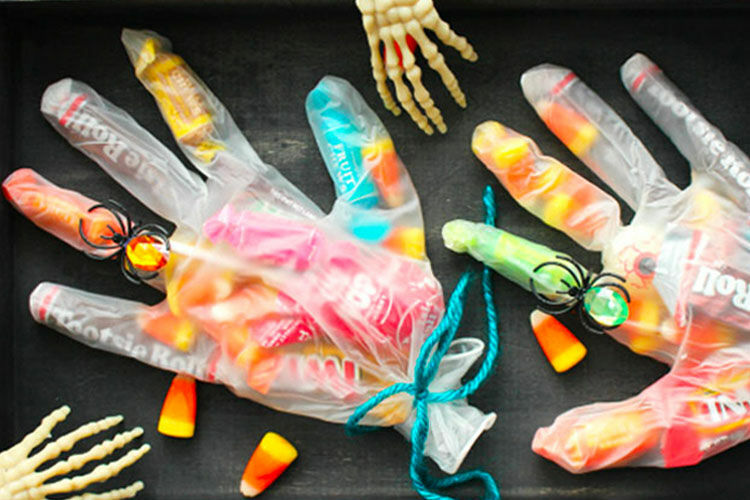 A secret pumpkin (from $10): Crack open the egg/pumpkin to reveal a Halloween surprise to the new grandparents. 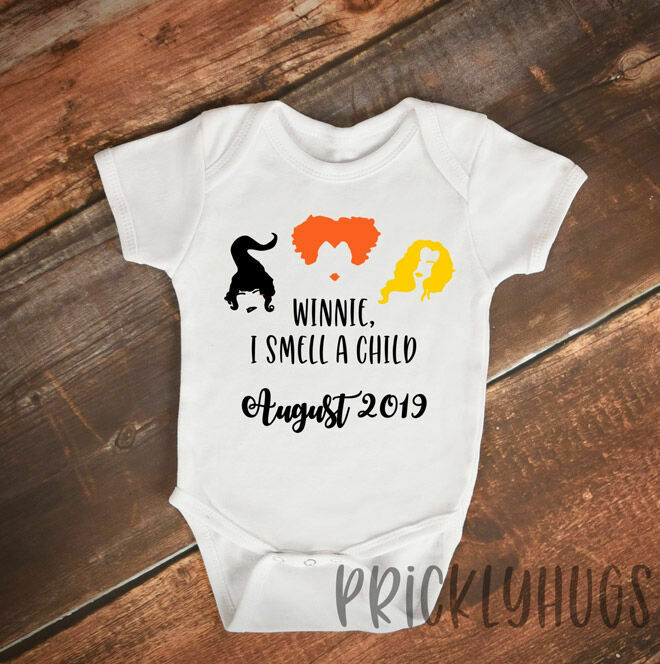 I smell a child ($27.18): The classic 90s movie makes for a brilliant pregnancy reveal in October. 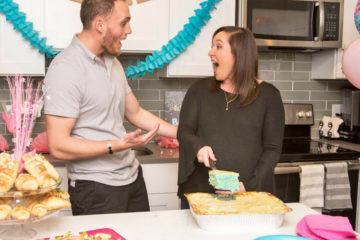 Already starting to show? 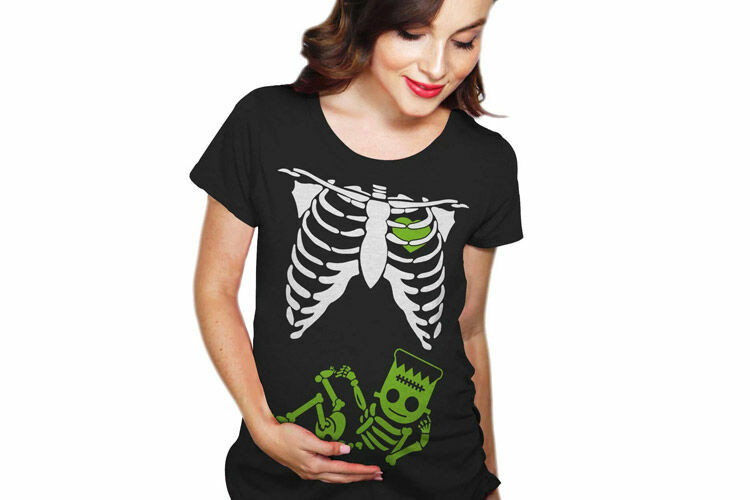 Check out these 10 hilarious Halloween t-shirts for baby bumps. 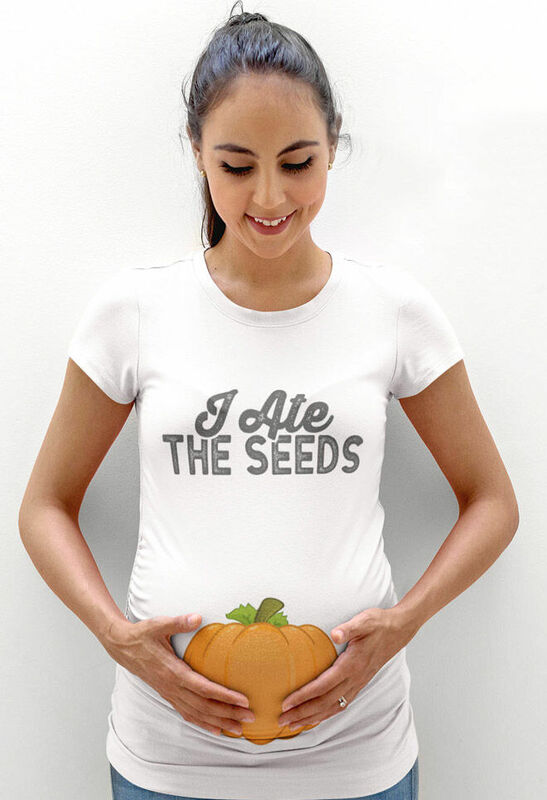 If you’re expecting a little pumpkin why not join one of the closed Mum’s Grapevine pregnancy groups on Facebook? 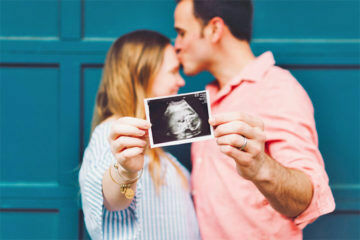 You can talk 24/7 with thousands of other mums all due around the same time as you.